Nina Avery is a talent acquisition manager at Synopsys. 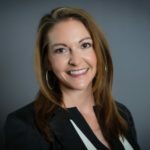 She brings a wealth of experience to the organization having hired technical talent across multiple industries for over a decade. Nina brings a passion for business, strategic process improvement, analytics, and customer service to the organization. She oversees an international team of professionals who believe in the value of software security and are committed to ensuring that Synopsys continues to hire the best in class. Nina holds a master’s degree from SUNY Stony Brook, is a mother of two, and in her spare time can be found at the gym or yoga studio. Posted in General | Comments Off on What’s being done about the growing software security talent gap? Posted in General | Comments Off on What skills do you need to land a software security internship? Posted in Uncategorized | Comments Off on How can social media help with your software security job search?